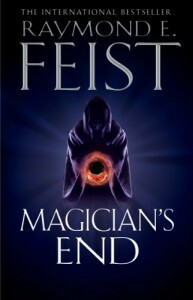 Magician's End is the final book in the Riftwar Cycle series by Raymond Feist, what follows is more of an overview of the entire series, skip to the end for a mini-review of the book. The Riftwar Cycle is a series split into multiple two or three book sagas released over a span of 30 years. The protagonist(s) change with each saga with main characters from previous sagas being relegated to supporting cast or killed off in the next saga with one exception who appears throughout the series to a greater or lesser extent. I read the first book, Magician, back in 1984. Magician is very much a Dungeons and Dragons influenced fantasy with the typical tropes of elves, dwarves, dragons and a coming of age story. What made Magician special was it just so well done, even now it's still one of my favourite books. Back then I only knew about books if they appeared on the shelves of my local bookshop so I was mightily annoyed when I found the third book in the series before I even knew a second book existed! Anyway both books were of a similar quality. After the first saga the series starts to vary in it's quality. The most inconsistent author I read regularly is R. A. Salvatore whose books I tend to love or hate. Raymond Feist isn't quite so bad, more great to average but in my opinion he doesn't quite hit the same heights in the rest of the series. For me Feist's inconsistency is in the main characters. Some characters I cared deeply for but others I didn't really care about that much and I'm one of those readers where, usually, that directly affects my enjoyment of a book. Cosmic epicness, while I like epic fantasy I do feel Feist goes a bit too far into the abstract with regard to the forces of evil. Lack of a coherent magic system, I have to admit this because I've changed as a reader and now have a preference for a well thought out magic system (I blame Brandon Sanderson for this). Magic use in the Riftwar Cycle is poor because the same character can be very powerful or limited as required by the author without any real explanation. I always find it hard work describing what I like about a book or series in this case. It's easier to criticise and why I rarely feel inspired to write reviews! Feist is great at writing on different levels and weaving them together. 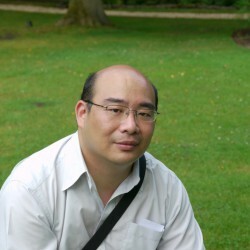 With regard to politics, he gives a clear explanation of what is happening, why and make it interesting. With regard to characterisation Feist's characterisation is at it's best when he takes the time to introduce characters and show their growth throughout a book. The build-up to battles, Feist will show the preparation of armies for an upcoming battle not just jump to the manoeuvring and clashing of armies which he also does well. However Feist is not at the level of Brandon Sanderson or Larry Correia when it comes to skirmishes or duels. The blurb, at least part of it. "Civil war is tearing apart the Kingdom of the Isles, for the throne lies empty and rivals are converging. Having spirited his beloved Princess Stephané safely out of Roldem, Hal – now Duke of Crydee – must turn his attention to the defence of the ancient realm so that a king can be anointed by the Congress of Lords, rather than by right of might. But the greatest threat may well lie out of the hands of men. Somewhere in the Grey Towers Mountains something not of this world is emerging. It will require that alliances be made between mortal enemies if disaster is to be averted." Magician's End epitomises what I like and dislike about the series as a whole. At the merely human and empire level there is a great interweaving of politics, action and personal interaction. Feist is truly skilled when he keeps the story at that level. It's the journey to understand the nature of the final enemy I found to be boring and detracted to my enjoyment of the book. There's a scene near the end that I disliked in that it seemed unnecessary and only there to show off the author's cleverness. Overall Magician's End is a fitting finish to the Riftwar Cycle and Feist absolutely nailed the epilogue. The epilogue was just the perfect way to end the entire series.